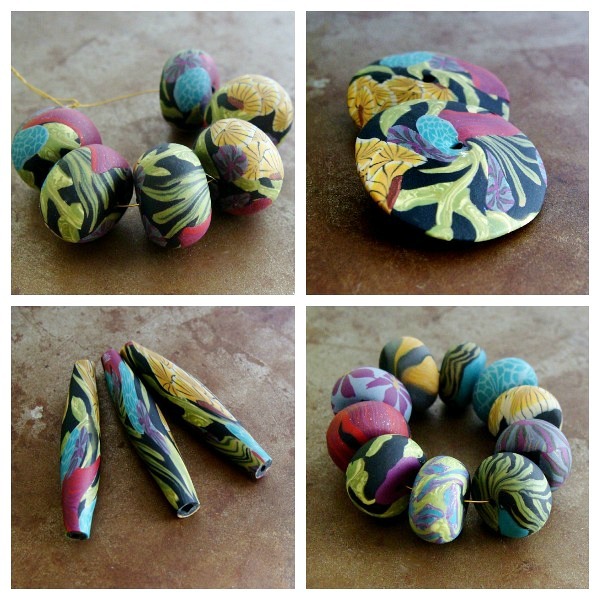 Today over on the Art Bead Scene I blogged about where I find the color inspiration for my beads. My latest bead series, Midnight Garden were inspired by a series of paintings and textiles from Pinterest. Stop on over at the Art Bead Scene today for a chance to win a $30 gift certificate to celebrate my new website launch! 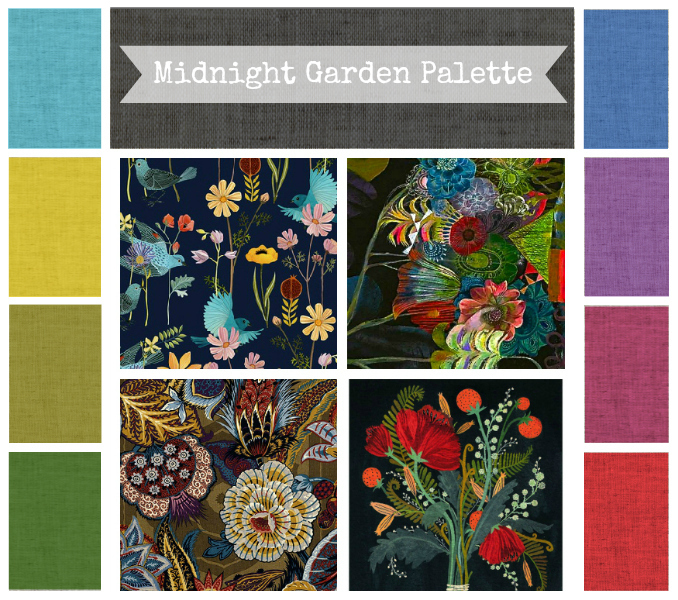 To see my Midnight Garden Pinterest board click here. Midnight Garden Big Disk Beads, Midnight Garden Wafer Beads, Midnight Garden Long Beads, Midnight Garden Disk Beads. I could see these beads paired up with turquoise stones for a bright and playful look. Mix them with Czech glass flowers and leaves in green, teal, red and yellow with Vintaj brass filigree for a summer garden design. Stack them up with round black stones or glass beads and silver accents for a sophisticated and subdued style. Or use black chain and let the art beads take center stage. I really dig the Arte Metal chain from Vintaj, it's black as midnight and has a lovely matte finish. That's good stuff!